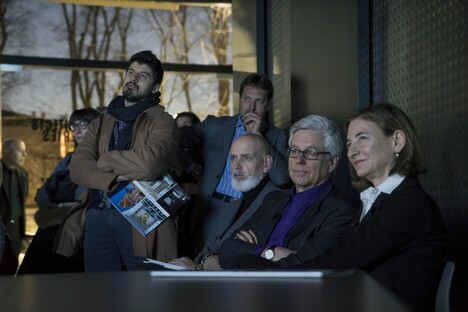 Cornell Tech Tata Innovation Center in New York is one of the projects Weiss Manfredi presented at the opening of the seventh episode in The Architects Series, the cultural format The Plan magazine created for SpazioFMGperl'Architettura, the Iris Ceramica Group’s exhibition gallery. 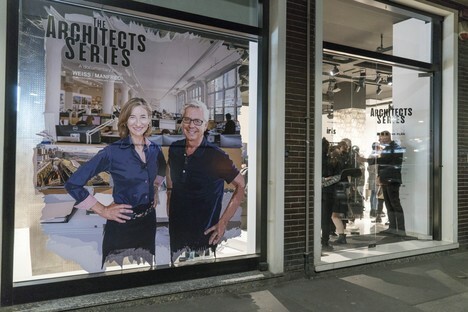 The centre received the 2019 AIANY Design Award. 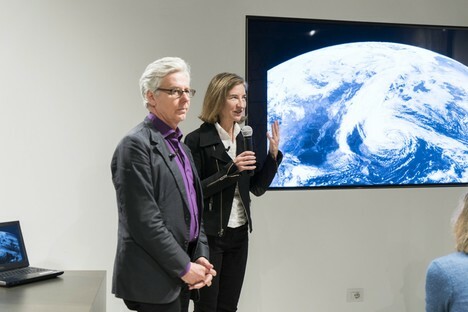 On February 21 architects Marion Weiss and Michael Manfredi attended the inauguration of the seventh episode in The Architects Series, the cultural format created by The Plan magazine for SpazioFMGperl'Architettura, the gallery operated by Iris Ceramica Group brands Iris Ceramica and FMG Fabbrica Marmi e Graniti. 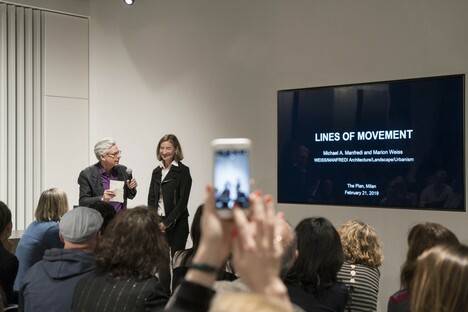 The screening of the new episode: “The Architects Series - A documentary on: WEISS/MANFREDI” was followed by a lecture given by Marion Weiss and Michael Manfredi entitled “Lines of Movement”, a brief excursus among the studio’s most recent and important projects in which the architects clarified a number of the key principles behind their approach to design. The projects presented included Cornell Tech Tata Innovation Center in New York, winner of the 2019 AIANY Design Award. 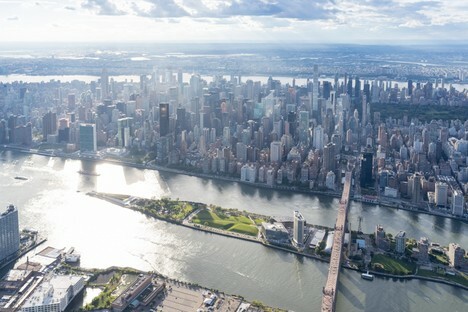 The Cornell Tech Tata Innovation Center is an innovative feature of the new campus on Roosevelt Island, a thin strip of land in the East River. The masterplan for the area by SOM involves replacement of the existing hospital complex consisting of ten buildings with new constructions by a number of architectural studios, including Morphosis, Weiss/Manfredi, Handel Architects and James Corner Field Operations. 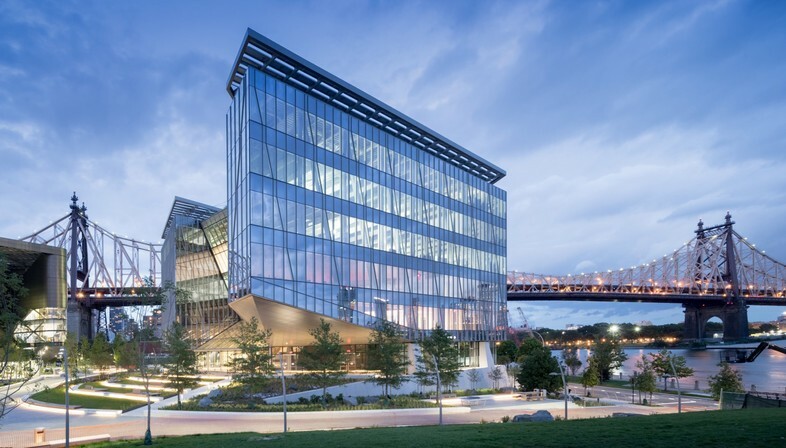 Cornell Tech Tata Innovation Center is the product of Cornell University’s partnerships with the City of New York and Technion Israel Institute of Technology. The project was awarded to Weiss/Manfredi, who won the design competition with their revolutionary idea. The building was to concentrate within it a number of different activities, including not only academic facilities (studies, laboratories, classrooms) but spaces for technology enterprises and start-ups, in order to strengthen the links and synergies between the academic and business worlds. 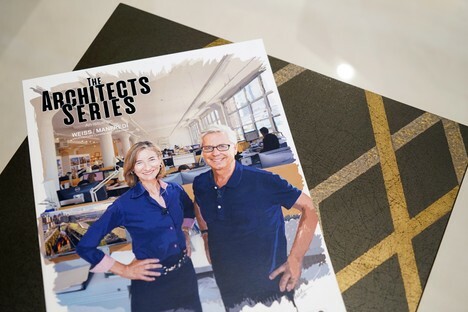 The revolutionary idea the architects of Weiss/Manfredi came up with is opening up the “box” so that all the functions in the building can enjoy daylight and panoramic views over the city around it, the skyline of Manhattan and Queens. The building is constructed around a central core, out of which two asymmetric wings emerge, creating outdoor social spaces supporting the businesses located on the ground floor. 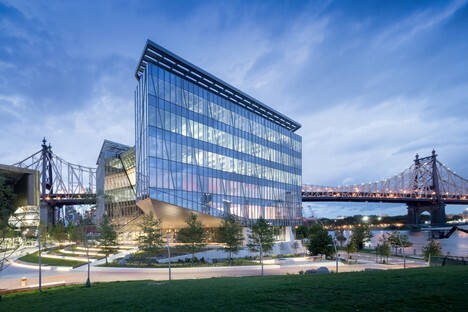 "The Bridge", as the Cornell Tech Tata Innovation Center has been nicknamed, is a building that anticipates the environmental challenges of the future. 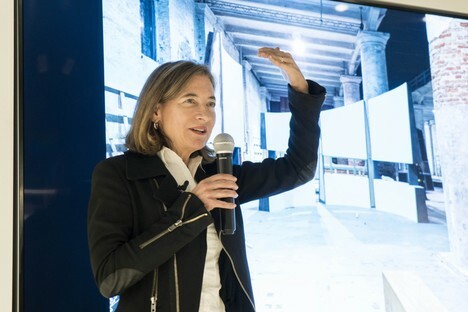 The architects designed elements and systems that contribute to the energy efficiency of the complex in order to achieve the zero-energy goal set for the Bloomberg Center. Nothing is left to chance, and the building even anticipates the challenges of the future; to prevent flood risk in view of rising sea levels, for instance, Weiss/Manfredi designed the building with an entrance level raised two metres above the estimated flood level for the next 100 years.